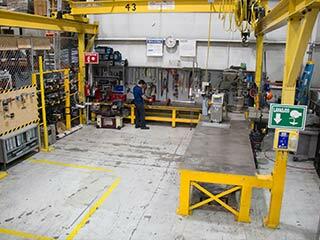 Boardman Molded Products has more than 85,000 square feet of molding and production space to handle any size job. The equipped 25 injection molding machines range in sizes from 85 tons to 1,500 tons, and are operated by skilled process engineers to ensure the highest quality parts. We also offer a wide variety of secondary molding operations such as hot stamping, sub assembly, insert molding, and special packaging. Depending on the process and applications, part/gate robots are available to ensure the fastest cycle times and lowest part costs. 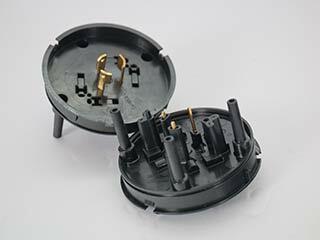 In addition, we offer 2 and 3 shot multicolor molding, subassembly and sonic welding capability. 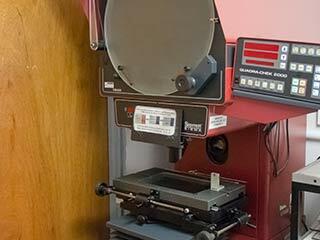 Each product produced at Boardman Molded Products is manufactured and inspected using the Part Quality Specification. 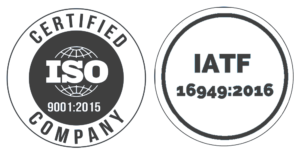 The Part Quality Specification is based upon the customer’s quality requirements and our standards for production quality. It outlines the required material, quality specifications, packaging specifications and inspection requirements for the product. 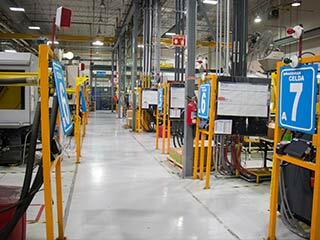 Inspections are performed three times per shift by trained quality control inspectors. Required dimensions are checked using calipers, rules and gage pins. Other gages are used to check dimensions as required. 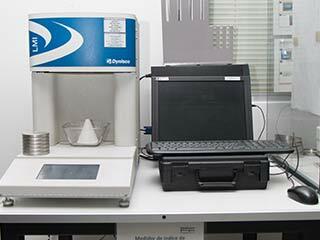 Boardman also uses an XTH spectrophotometer to monitor color during manufacturing of parts where color is critical for the customer’s use of their product. All inspection data is recorded and stored for future reference. 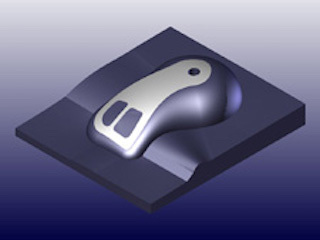 Our engineering department specializes in new product development, part optimization, photo renderings, mold design, and rapid prototyping. 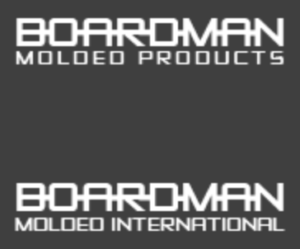 Whatever your engineering needs may be, Boardman Molded Products can meet and exceed your expectations for your custom products. 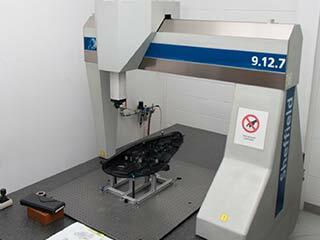 Through our Sold Works capabilities and Failure Mode Analysis, we help companies evaluate the potential to convert metal parts to plastic, lower tooling/manufacturing costs and improve appearance, durability and assembly time. Boardman Molded Products utilizes the latest SolidWorks 3D CAD modeling package to keep up­–to–date with today’s design technology. 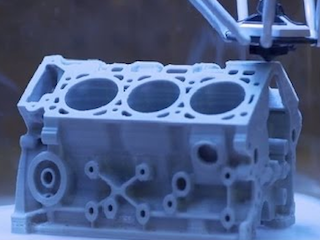 Customers are able to interact with our engineering department via the internet to send part files, design ideas or mold prints to our facility. We can easily import and export files from any of the format types (.iges, .igs, .prt, .drw, .dwg, .sldprt, .step, .x_t, .crg, .lfp, .sat, .vda, .stl and .wrl). Customers seeking new part design ideas can take advantage of our photo realistic part concept renderings via the PhotoWorks package for SolidWorks. PhotoWorks is a best-in-class rendering solution for creating photographic images from 3D CAD models that will let you see how your design will appear without having to manufacture expensive mock-ups. Images can be rendered to JPEG, TARGE, TIFF, or BMP files for maximum customer compatibility. Concept design and development is the most critical aspect of any product or component. Decisions are made at this stage that will affect materials, processes and costs involved with manufacturing. 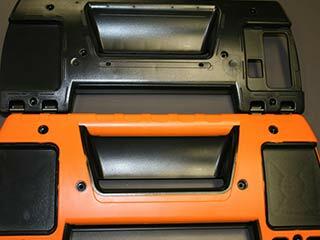 Injection molding design includes specific considerations to manufacturing. Features and materials will have an important impact on design and production efficiency. We assist our customers in every step of their product design process. Materials we use include: Polycarbonate, Formion, High Density Polyethylene, Linear Low Density Polyethylene, High Impact Polystyrene, Hytrel, TPO, TPU, TPR, Low Density Polyethylene, Styrene Acrylonitrile, K-Resin, Polypropylene, Flexible and Rigid Polyvinylchloride, Nylon and Filled Nylons, Thermoplastic Elastomers, Polystyrene and ABS. 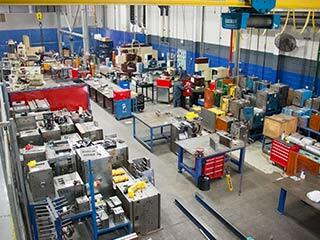 Boardman Molded Products offers a full range of supply chain services to reflect the needs of each customer. As-Needed Manufacturing. Many components are manufactured on an as-needed basis. Inventory Management Apart from our JIT/Quickship capabilities, we also provide a range of vendor managed inventory (VMI) programs through which we maintain minimum inventory levels of critical components for certain customers. The maintenance of minimum inventory levels also provides a level of added flexibility in our customers’ own production scheduling, making PMT an integral part of their supply chain. Boardman can utilize our 30,000 sq. ft warehouse to inventory customer products and shipped when needed. 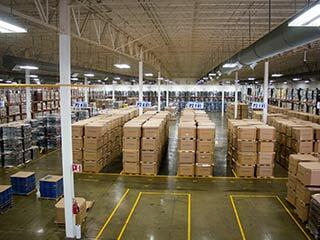 Sub-Assembled/Finished Goods are packed, palletized and warehoused until needed. Finished products are shipped to customers either by our own truck fleet or using third-party freight and logistics providers. We also offer customer pickup, when appropriate.